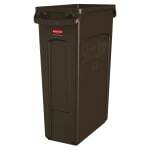 The Rubbermaid 1956187 rectangular, slim trash can is protected from sun damage with the built-in UV inhibitor. Liners are secured to the rim with four pull-through bag cinches. Venting channels make it easy to remove the liners. 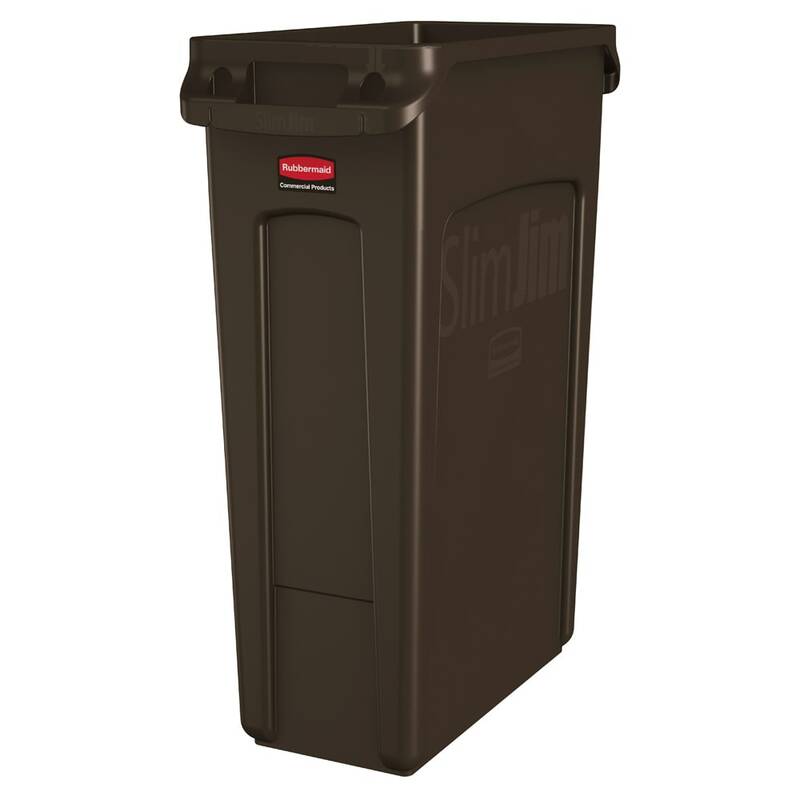 Since the rim is rib strengthened, durability and strength is added to the can. 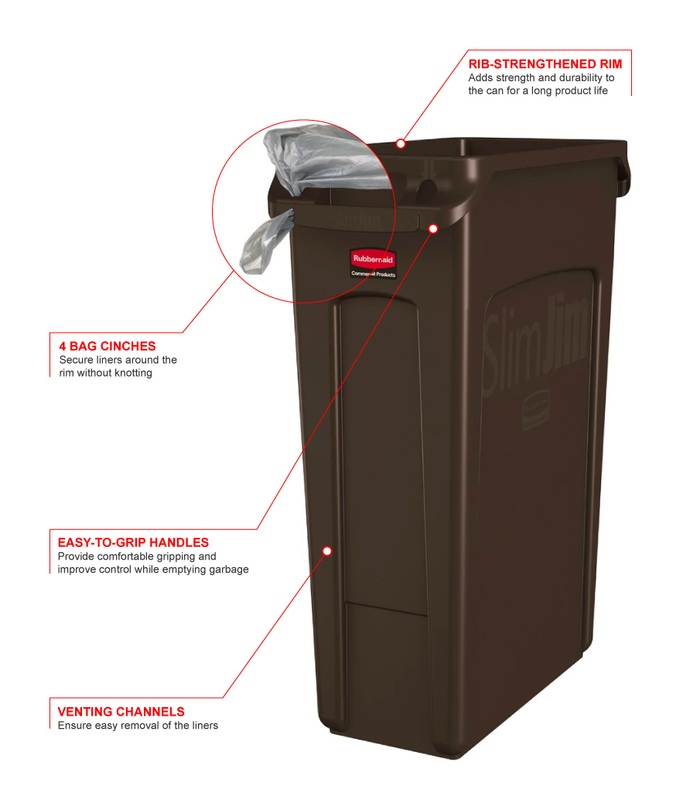 With the molded-in handles, grip is improved, and there is added control when lifting and emptying the trash can. It measures 22 inches long by 11 inches wide by 30 inches tall and holds up to 23 gallons.